If you’ve made the decision to invest in an exchange traded fund, the next step is to decide on a fund that’s right for you. But, with more and more ETFs to choose from, how do you narrow it down? Here are a few things you may want to consider before investing in an ETF. Every night on the news we hear about the market going up or down. But even though movements in the market tend to be closely followed by many in the finance industry as well as a large cohort of investors, it’s not always clear what causes these shifts. 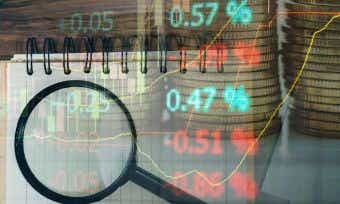 Understanding some of the key factors that move the market can potentially help investors improve their investing success by being able to help determine which moves are important and which are just noise. An ETF – short for exchange-traded fund – is a pooled investment option that can be traded on the share market. Like a managed fund, ETFs allow consumers to invest in a basket of assets or companies with a single trade. 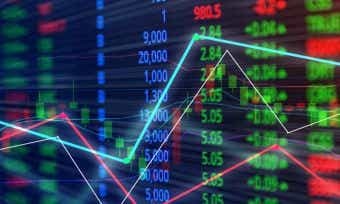 Most ETFs are ‘passively managed’ in that they’re designed to move in line with an index or commodity, such as the S&P/ASX 200 or the gold price. This is in contrast to many managed funds, which are often ‘actively managed’ – whereby fund’s trades are overseen by a professional fund manager whose aim is to outperform the relevant market index. Consequently, ETFs can have significantly lower management fees than an actively managed fund. There are a variety of ETFs available in Australia and abroad providing investment exposure to anything from an entire market (e.g. S&P/ASX 300 or FTSE China 25) to a specific sector such as cybersecurity or healthcare. 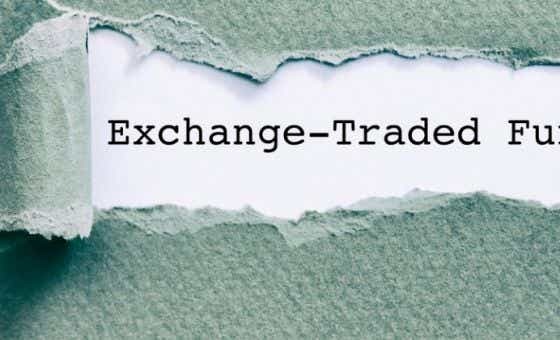 For example, if you invested in an ETF that tracks the S&P/ASX 200, you are virtually purchasing a small number of shares in each of the top 200 companies traded on the Australian Stock Exchange. It’s important to note that when invested in an ETF, you own shares in the fund, not the underlying stocks, commodities or other assets owned by the fund. You can view and compare ETFs on the market based on management fees and performance using our ETF comparison table. Another type of ETF to consider is an actively managed ETF. These offer more strategic fund management than an ETF that simply tracks an index, but they tend to come at a higher cost. There are a growing number of these launching in Australia and abroad. Ethical ETFs are an option for those who want to make sure their money isn’t funding activities that go against their personal values. For example, you can choose a fund that only invests in sustainable activities like healthcare or green energy and screens out those that invest in world-damaging activities like coal seam gas, tobacco production, slave labour, or forest logging. Slippage: slippage occurs when you pay a different price for an ETF than the price you were expecting. The price of an ETF may change after your order is placed due to the sheer volume of trades that are executed. ETFs are ideal for investors looking for a low-cost, low-risk product with broad diversification and a steady return. 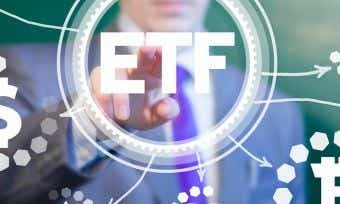 Those who want to protect their wealth while growing it might appreciate an ETF, as its diversified nature is useful for avoiding the effects of volatility in the market. There are even “bear fund” ETFs that will help you make returns during falling markets. ETFs are also well suited to those with an SMSF superannuation arrangement. Conservative: Investors who aren’t willing to risk their accumulated wealth and are happy to accept small but stable returns. Balanced: Those seeking higher returns than conservative investors but only willing to risk falls of as much as 5-10%. Growth: Investors who want growth of around 8-10% per year over the long term and are willing to accept the risk of falls of up to 20% in one year. High Growth/Aggressive: An investor with plenty of time on their side to ride out periods of downturn. Seeking average long-term growth of over 10% per year and willing to accept the risk of falls of over 20% in one year. Your risk profile will largely determine the asset classes you choose to invest in with an ETF, from shares to property, bonds to cash. Different mixes of the assets carry varying levels of investment risk. You will also need to ask yourself what your stance on ethical or responsible investment is. Are you worried about what companies your ETF invests in on your behalf? Choosing ethical investments is a growing trend, with more investors wanting to make sure their money is not funding activities that go against their personal values. Ethical investment funds can “screen in” companies that actively invest in sustainable activities like healthcare or green energy, and “screen out” companies that invest in world-damaging activities like coal seam gas, tobacco production, slave labour, or forest logging. Greg has been regularly saving into an account that has accumulated a little over $50,000. He doesn’t need the money in the short-term, so he is interested in trying to achieve higher returns through the stock market. Greg has just retired so he is naturally fairly averse to risk and wants to find a simple way to invest some of his money in a low-risk environment. He should look for an ETF that does not trade heavily in commodities, emerging markets, or other volatile markets. Having heard a lot about slave labour and the dreadful working conditions in many factories, Greg wants to make sure he doesn’t end up investing in companies that exploit their workers. He begins looking for an ETF with an ethical investment portfolio. 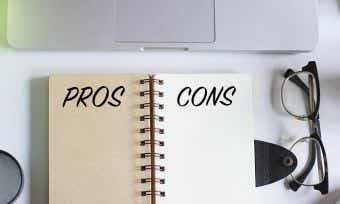 Using the CANSTAR website, Greg compares ETFs and checks the MER% fees charged on a few ethical investment options before choosing one that offers annual distributions.